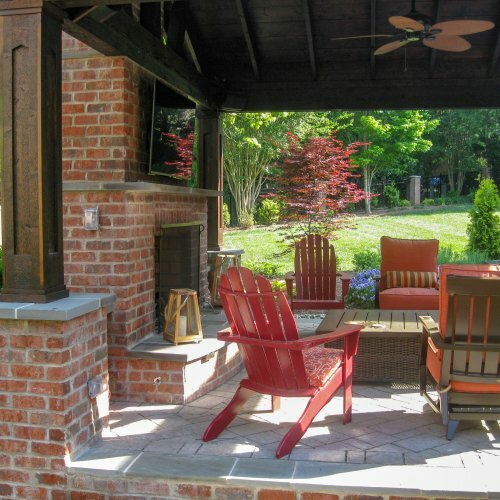 Often, your outdoor quality time is enjoyed in the evening. 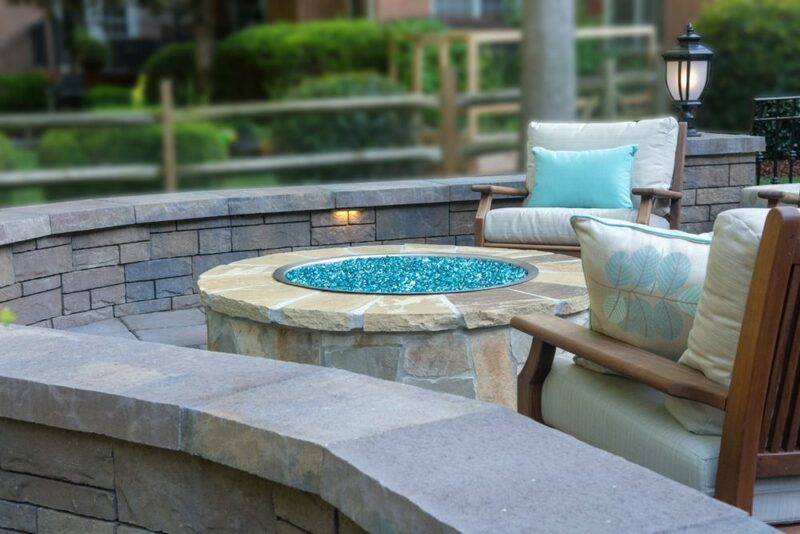 Words like Intimacy, Romance, Quality time, Cozy, and Warmth all describe the feeling that comes from enjoying a hand-crafted fire feature. 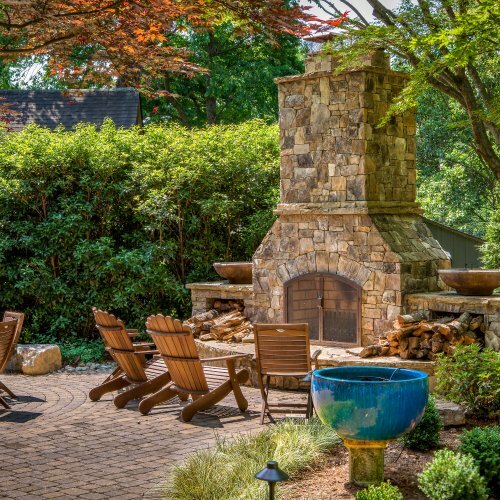 Whether it is an outdoor fireplace or a stone fire pit, the elemental beauty of fire simply emphasizes the relaxing purpose of your outdoor space. 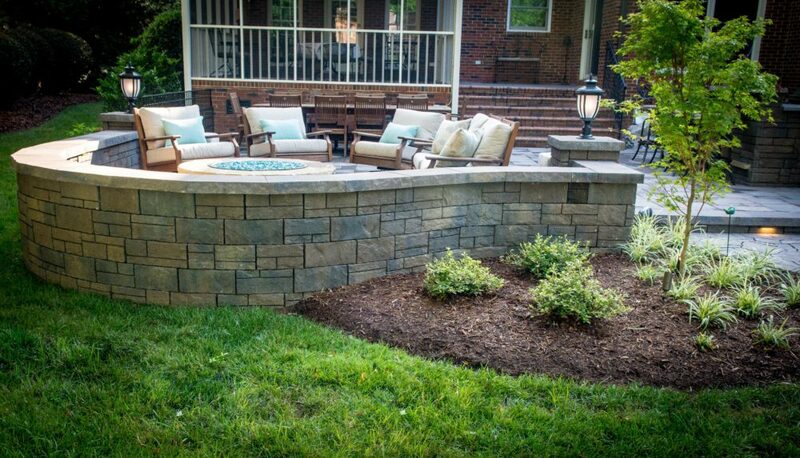 There is nothing more enjoyable than spending quality time outdoors with family and friends. 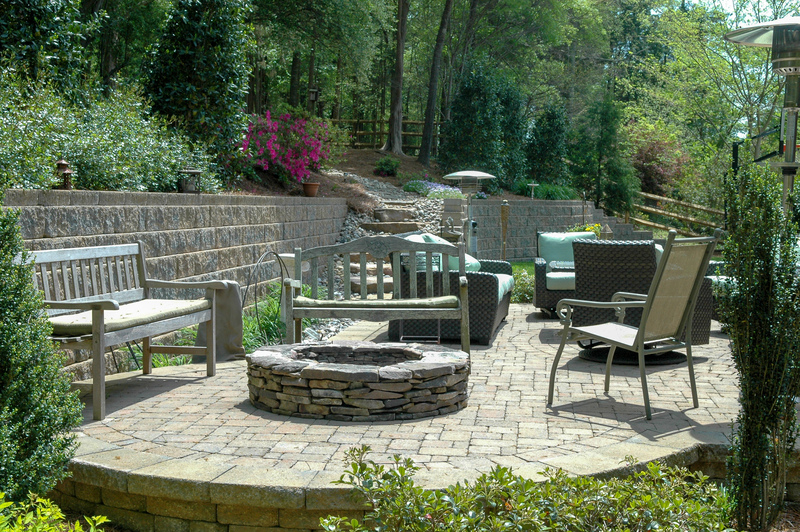 Summertime cook outs and pool parties are the favorite outdoor activity in the Charlotte area. 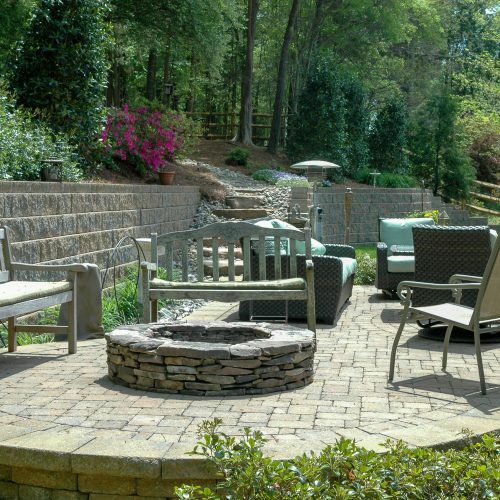 Entertaining around a stone fire pit or beside an outdoor fireplace will definitely enhance these activities. 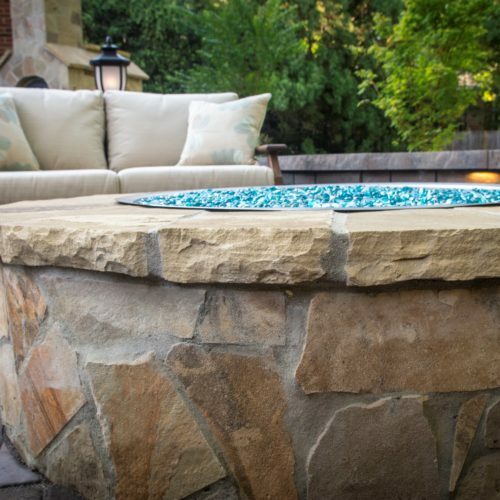 The addition of a stone fire pit or outdoor fireplace will extend your outdoor time into the cooler seasons giving added warmth. 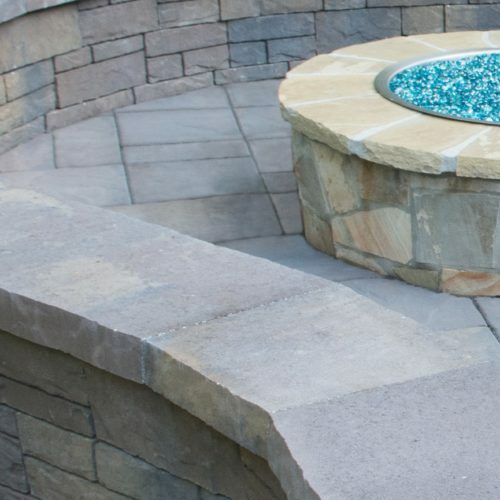 DeSignia can offer an endless bounty of design ideas that will fit your needs. 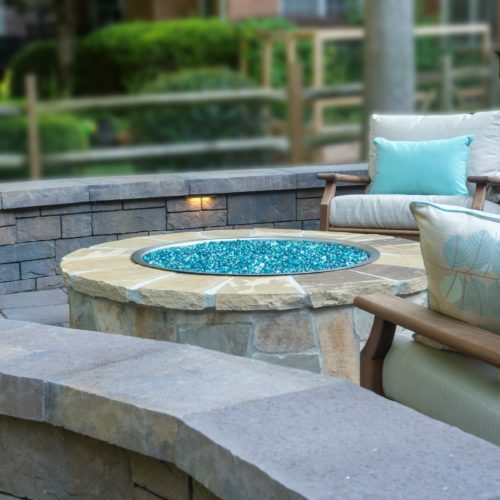 Fire features can be as simple as a freestanding fire pit, and as elaborate as a full scale outdoor fireplace. 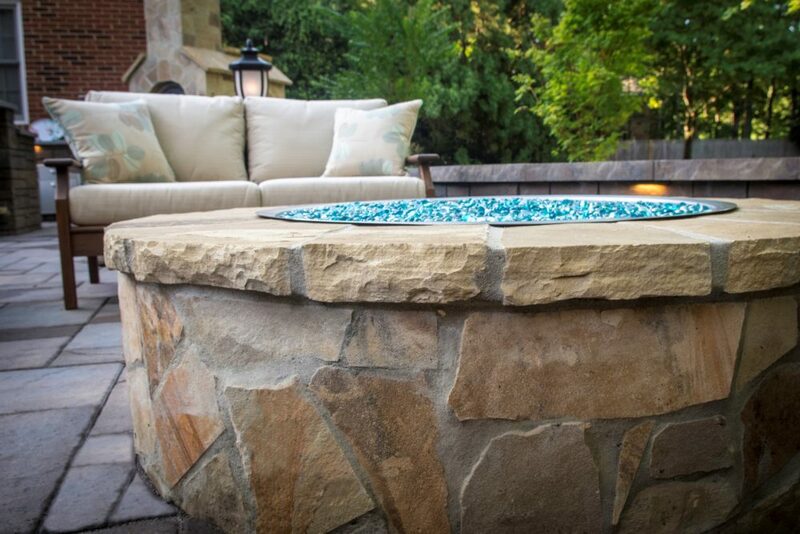 In natural stone, brick or a combination, a stone fire pit or outdoor fireplace could be wood burning or gas burning. 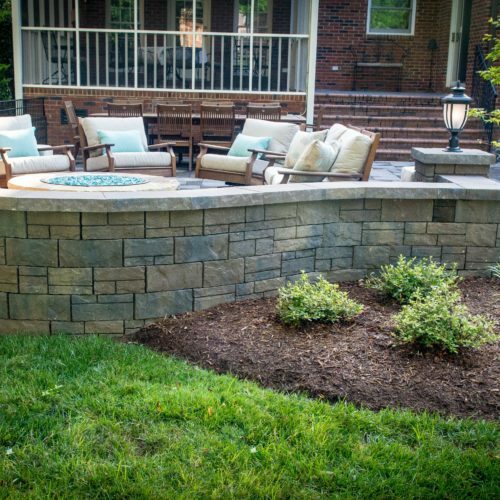 When placed within the context of a professional design, the overall effect is amazing and will certainly compliment many hours of entertaining with family and friends. 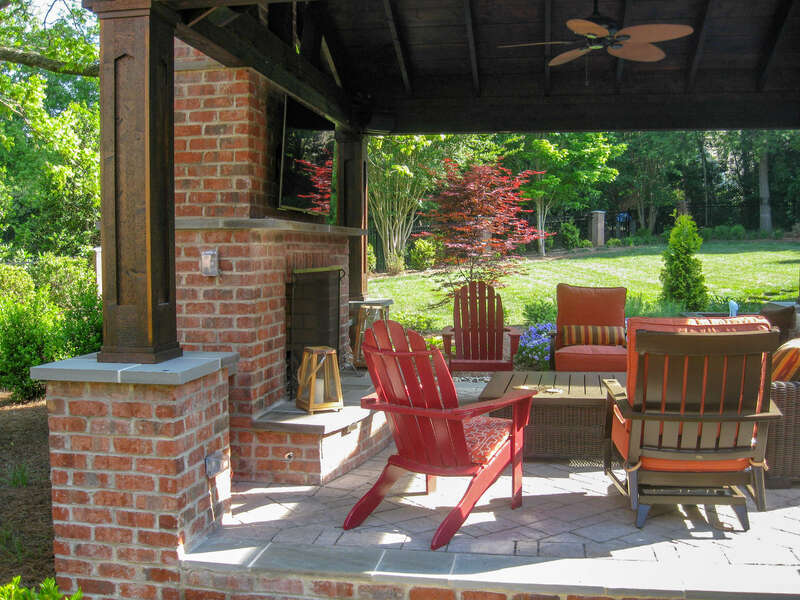 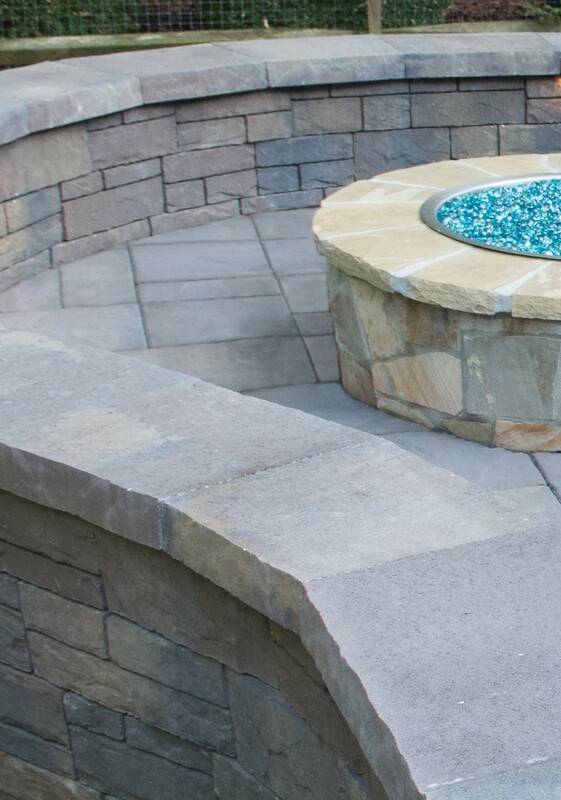 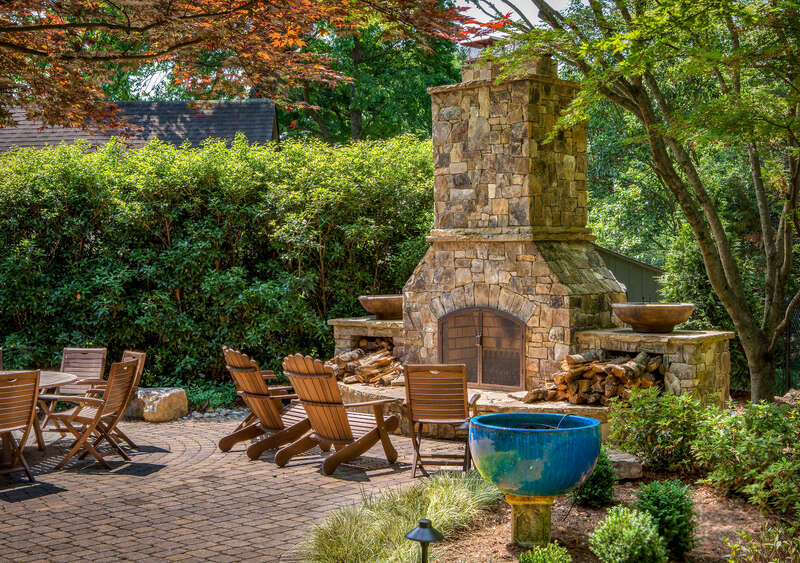 The certified design consultants at DeSignia can offer helpful information and options for choosing your outdoor fireplace or stone fire pit, safety tips, decorating tips and wood storage ideas to ensure that your outdoor fireplace or fire pit will be an integral part of your landscape.